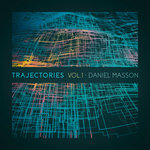 Chris Morton Daniel continually hits the mark as he combines many world music influences in his creations. It's tops for enlightened audiophile heads who look W-A-Y beyond parochial interplanetary tunings to hear the universal collage of sound. 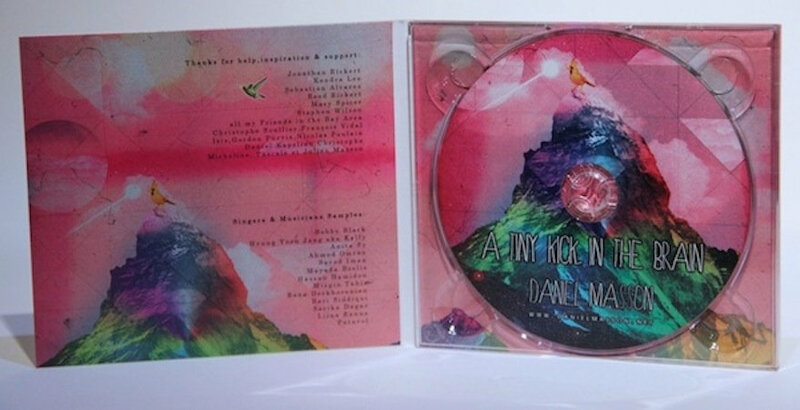 "Digipak CD + Instant Download"
A full colour audio CD in a digipak with original artwork by Fred Spillmann and an immediate download of the 12 tracks album in your choice of 320k mp3, FLAC, or just about any other format you could possibly desire. 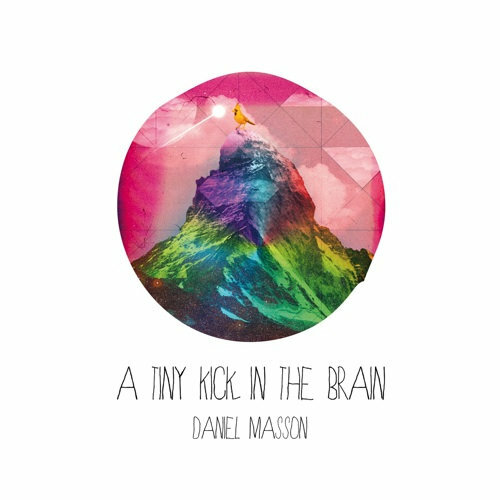 Includes unlimited streaming of A Tiny Kick in the Brain via the free Bandcamp app, plus high-quality download in MP3, FLAC and more. 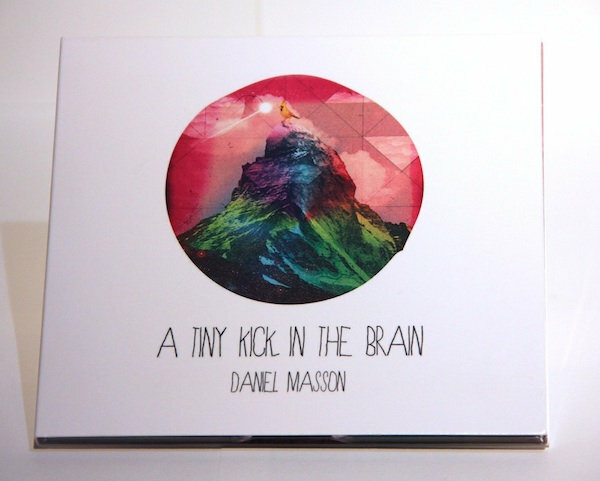 "Two keywords could define ‘A Tiny Kick in the Brain’, optimism and simplicity. I'm realizing day after day the importance of these words in our current life. Simplicity is about making life easier as optimism drives it - and sometimes we need a tiny kick in the brain to stimulate action. I have tried to create some fresh sounds to act as a stimulus. The beats and grooves offer optimism while chords and melodies portray simplicity. My inspiration was fueled by my visit to San Francisco and my last experiences of performing in California, South Korea and Switzerland.The new score I composed for G. Mélies Impossible Voyage was also an inspiring step. All these experiences gave me a different approach and new directions in fusing musical genres. Reminiscent ethnic sounds shade the soundscapes as well as guitars and bass parts I played. Many great artists contributed to this project such as the American pedal steel guitar legend, Bobby Black, and the great pop singer, Kally aka Hyung Yoon Jang, from South Korea. 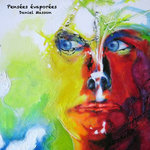 A unique diversion for me was singing vocals on "Les Souvenirs", which brings the album a bit more versatility. ‘A Tiny Kick in the Brain’ is a new milestone in my musical career following the tiny kick I have in my brain." Rena Derkhorenian, Bari Siddiqui, Sarika Dagar, Liina Ranne, Patavol. 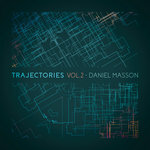 Daniel Masson: programming, guitars, Fender bass and voices. Micheline, Pascale et Julien Masson. 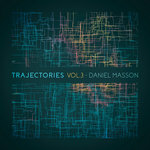 All tracks produced, composed and mixed by Daniel Masson.